Since we are in the season of comparing charts, graphs and interpretations of the summer Arctic ice melt, it may be useful to pause and consider the history of Arctic temperatures in the Holocene. There is an abundance of data compiled by hardworking field researchers over the years. Before everybody got so excited about global warming, it was understood that the Arctic was considerably warmer in earlier parts of the Holocene than in the present. The evidence for these warmer periods seems to have been forgotten in an age when satellite data causes us to fixate on the last thirty years. I have collected a short list of papers that indicate times during the mid-Holocene, and places in or near the Arctic, when it was warmer than the present. Some of these papers may also indicate warmer periods in the early or late Holocene, but I am concentrating primarily on the mid-Holocene in this post. Figure 1, below, shows the spatial distribution of areas covered by these papers. 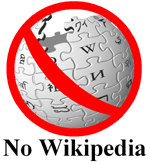 Click on the image to get a larger view. 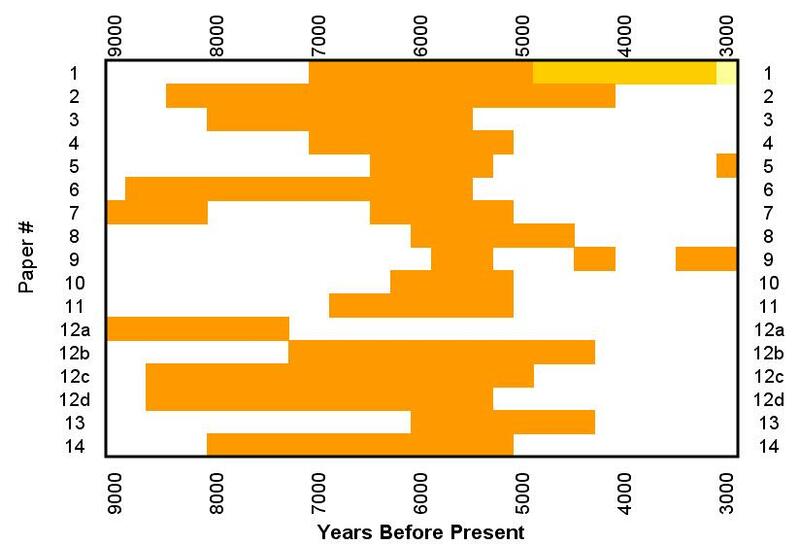 Figure 2 shows the times in the mid-Holocene that each paper says it was warmer than the present. Figure 1. Numbers correspond to the journal articles that are listed below. They also correspond to the numbered lines in figure 2. Figure 2. “Paper #” corresponds to the numbered journal articles listed below. The colored areas indicate the time periods in the mid-Holocene for which the papers indicate it was warmer than present. The evidence that the Arctic was warmer in the mid-Holocene than it is now is compelling. At longitudes almost completely encircling the Arctic, palaeological proxies of all kinds speak from the past with the same message. Treelines moved in latitudes and elevations. Alkenone molecules produced from sun loving organisms in the top layer of ocean water recorded the temperature of the water and settled into the depths of the ocean, depositing their temperature record in the sediments. The pollens of various species of plants changed their ratios with changing temperatures and forest locations, drifted over lakes and settled to the bottom, leaving layer upon layer of temperature history. Choronomid midges, small insects that live out their short lives in just a few weeks, varied their physiology according to the temperature of their environment, and carried their temperature stories to lake sediments. Forest plant species came and went at temperatures rose and fell, leaving behind their seeds in successive layers of soil as positive reminders that they had been there. These proxies, and others, strongly indicate that the arctic region was warmer around 5,000 years ago than it is today. Read the papers listed below to see the details. Please feel free to criticize my interpretations of the papers, or to point out contradictory or complementary papers. Kim, et. al., used alkenone-derived sea-surface temperature records from sediments from over 30 locations to derive temperature changes in the Pacific and the Atlantic Oceans during the Holocene. I have marked the locations of the five highest northern latitude cores, two above the arctic circle and three below it. Kim’s data for these cores covers only the last 7,000 years, rather than the entire Holocene. Nevertheless, the cores show temperatures clearly dropping to modern values over the last 7,000 years. The northern-most core (75N) shows a temperature drop of 4.4 degrees C since 7,000 years ago. Two other cores show temperature drops greater than 3 degrees C (3.3 and 3.8 degree drops at 57.8N, 8.7E and 57.7N, 7.1E respectively). The remaining two cores show temperature drops of 1.8 and 0.6 degrees C. Get copy here. 2. Kultti, S., et. al., Past changes in the Scots pine forest line and climate in Finnish Lapland: a study based on megafossils, lake sediments, and GIS-based vegetation and climate data,” The Holocene, Vol 16 No3, 2004b. In this paper, Kultti, et. al., (2004b) looked at tree lines in Finnish Lapland and found “Results indicate that pine reached its maximum distribution between 8300 and 4000 cal. yr BP. The inferred minimum shift in mean July temperature was at that time c. +2.5.” Get copy here. 3. Solovieva, N., and Jones, V., A multiproxy record of Holocene environmental changes in the central Kola Peninsula, northwest Russia, Journal of Quaternary Science, 17(4), 2002. Solovieva and Jones studied a multi-proxy record of the Kola Peninsula in northern Russia and concluded that for the period from 8000 years ago to 5400 years ago “A maximum of forest cover and the high Pinus abundance during this period indicate the Holocene climate optimum. The multiproxy data from Chuna Lake generally agree with the temperature reconstructions based on the evidence from the Greenland ice-cores (Stuiver et al., 1995) and summer temperatures were likely to have been 2°–3 °C higher than at present.” Get copy here. 4. MacDonald, G., et. al., Radiocarbon dated Pinus sylvestris L. wood from beyond tree-line on the Kola Peninsula, Russia, The Holocene, Vol. 10, No.1, 2000. MacDonald, et. al., dated Scots Pine wood (Pinus sylvestris L.) in Russia’s Kola Peninsula and found “the density of trees north of the modern tree-line was greatest between 7000 and 5000 BP. Get copy here. 5. Sarnthein, et. al., Centennial-to-millennial-scale periodicities of Holocene climate and sediment injections off the western Barents shelf, 75°N, Boreas, Vol. 32, 2003. Sarnthein, et. al., studied sediments on the Barents shelf and found “disappearing sea ice from 6.4–5.2” thousand years before the present, and again “3.0–1.6 kyr BP.” Get copy here. 6. 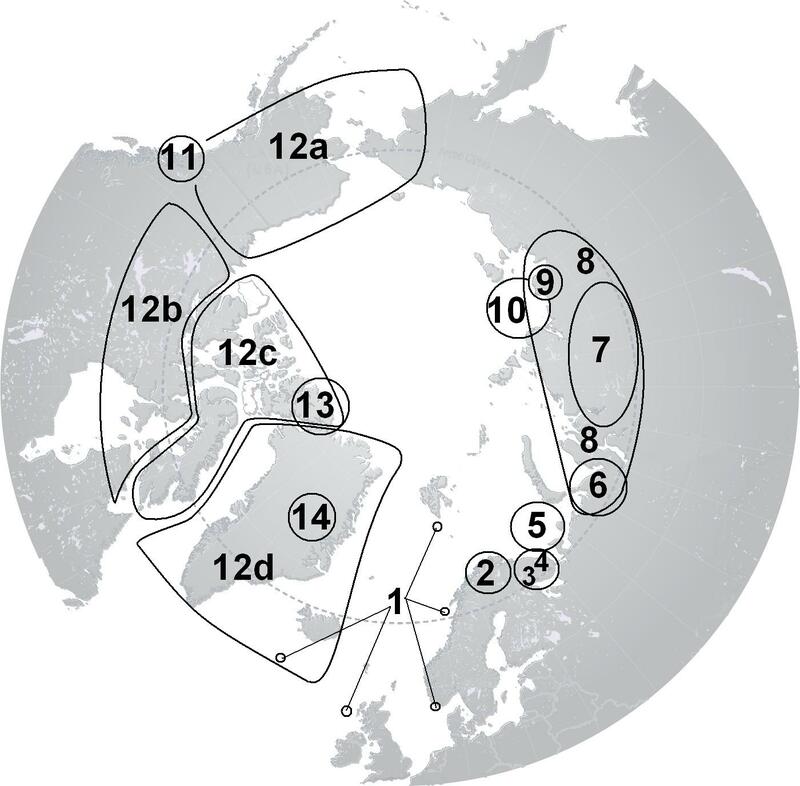 Kultti, S., Oksanen, P., and Väliranta, M., Holocene tree line, permafrost, and climate dynamics in the Nenets Region, East European Arctic, Canadian Journal of Earth Science, Vol 41, 2004a. Koshkarova and Koshkarov(2004) draw their conclusions based on “25 sections of Holocene deposits and soils of northern Central Siberia [that] were studied by paleocarpologicalmethods. 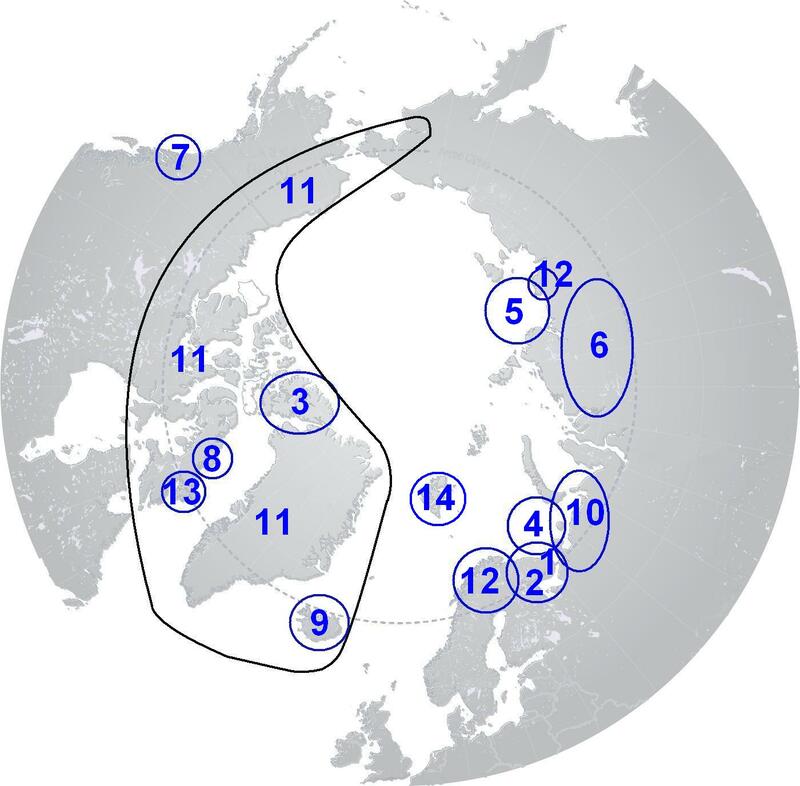 Special attention was given to the reconstruction of the dynamics of speciation of forest cover in time and space.” These 25 sections are all above the arctic circle and range in longitude from 86 to 119°E. They divide the Holocene in the region into “intervals 9-8 ka (thermal maximum), 6.5-5ka (climate optimum – combination of higher temperatures and higher humidity), and 2.5-2 ka (thermal minimum). Get copy here. Monserud, et. al., concentrated on the mid-holocene, which they defined as 4600 to 6000 years before the present. They found that during this period the Siberian winters “between 60 and 65N the palaeoclimate was 5.3 C warmer on average, and between 65 and 70N it was 7.7 C warmer.” For the warmer months the found “Summer was 2-5 C warmer than today between 63 and 73N, embracing much of the Northern Taiga, Forest-Tundra, and Tundra zones. A band of moderate summer temperature anomalies (0 – 2 C) is centered at 65N, and a second band of greater anomalies (2-5 C) is centered at 70N.” Get copy here. Ilyashuk, et. al. show that Radiocarbon-dated chironomid records from the lake Nikolay region of the Lena River Delta area “imply the warmest (up to 2-3°C warmer than nowadays) climate during ca. 10,200-9200 cal. yr BP…with two short warm oscillations (up to 8.9oC) at c. 5600 and 4500-4100 cal. yr BP…and a relatively long warm period ca. 2300-1400 cal. yr BP.” Get copy here. 10. Matul, A. G., et. al., Recent and Late Holocene Environments on the Southeastern Shelf of the Laptev Sea As Inferred from Microfossil Data, Oceanology, Vol. 47, No. 1, 2007. 11. Lawson, D.E.,et. al., 2007, Early to mid-Holocene glacier fluctuations in Glacier Bay, Alaska, in Piatt, J.F., and Gende, S.M., eds., Proceedings of the Fourth Glacier Bay Science Symposium, October 26–28, 2004: U.S. Geological Survey Scientific Investigations Report 2007-5047, p. 54-55. Lawson looked at glacial advances and retreats in Glacier Bay, Alaska. Glacier Bay is well south of the Arctic circle, but yields information about northern latitude climates. They found a glacial retreat starting 6800 years ago followed by a new glacial advance starting 5000 years ago. The retreat “was long enough to develop a mature forest” on land that was subsequently recovered with ice. Get cop here. They devided the region into four zones, which I have labeled on the map. 12a. Central Eastern Beringia.Sketchy evidence indicates that the Holocene Therma Maximum occurred very early and had a short duration in this region. Temperatures were several degrees above current temperatures for some period between 12.8 and 7.1 ka. (mean initiation plus one sigma to mean termination minus one sigma). 12b. Northern Continental Canada.Better evidence indicates that this zone experienced higher temperatures from about 7.3 to 4.3 ka. 12c. Canadian Arctic Islands.Good abundant data that this zone was warm from 8.6 to 4.9 ka. 12d. Greenland, Iceland and other Artic islands.Temperatures were high in this zone from 8.6 to 5.2 ka. 13. Stewart, T. and England, J., Holocene Sea-Ice Variations and Paleoenvironmental Change, Northernmost Ellesmere Island, NWT., Canada, Arctic and Alpine Research, Vol 15, No. 1, 1983. Stewart and England examined more than 70 samples or Holocene driftwood on Ellesmere at 82° N Latitude. The time distribution of the driftwood indicates “prolonged climatic amelioration at the highest terrestrial latitudes of the northern hemisphere” from 4200 to 6000 years before the present. Get copy here. It is misconception that thickness of ice dependends only on temperature. It is rather more dependent on humidity. 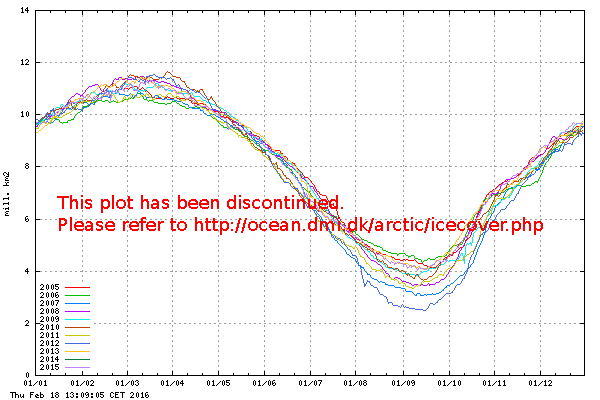 You can have low average temperature and ice can still disapeare from the poles. The driest continent is Antarctica. And there are areas in the interior where there is no ice. Interesting piece. I’m not sure what your point is, though. You are right that there is convincing scientific evidence of the Arctic having been warmer in the distant past. I don’t know about the Holocene (10,000 years ago) but it may be true. The main reason that people are “getting all excited” about climate change is not because the climate is changing per se, but because this time PEOPLE ARE CAUSING IT TO CHANGE and it is changing far faster than it ever has in the past. This means that species do not have time to adapt and are being stressed and going extinct in some cases. So, sure in the past the Arctic has been warmer and it’s probably been colder too but in the past, with natural climate change, there has been time for species to adapt — this time, they are out of luck. I must contradict your statement that the climate “is changing faster than it has in the past.” In fact, Palaeological data if rife with cases of abrupt climate change. For example, only 8200 years ago a global event resulted in the temperature dropping more than 4 degrees C in as little at 10 years in Greenland. 12,800 years ago, as the planet was moving out of the ice age, there was a sudden reversal back to colder temperatures. This new cold period lasted about 1200 years. The amazing thing is that this cold period ended with a 10 degree temperature increase in as little as 10 years! So, the 1 degree change over the last 100 years isn’t really that spectacular. Again, thank you for your thoughtful comments. I do appreciate them. It would be very helpful if you added an rss feed to your site. Ice free Arctic Ocean, an Early Holocene analogue (Funder, S.; Kjaer, K. H.) (American Geophysical Union, Fall Meeting 2007). Thank you for the link. The abstract looks very interesting. I’ll acquire a copy of this paper in the next week or so.